What’s The Most Tasteless Tuner Car? Car companies are unbelievably conservative, especially in their styling. That's why we have tuner companies to spice things up a bit. They don't always make things better, though. Some cars really could benefit from a tuner's styling touches. 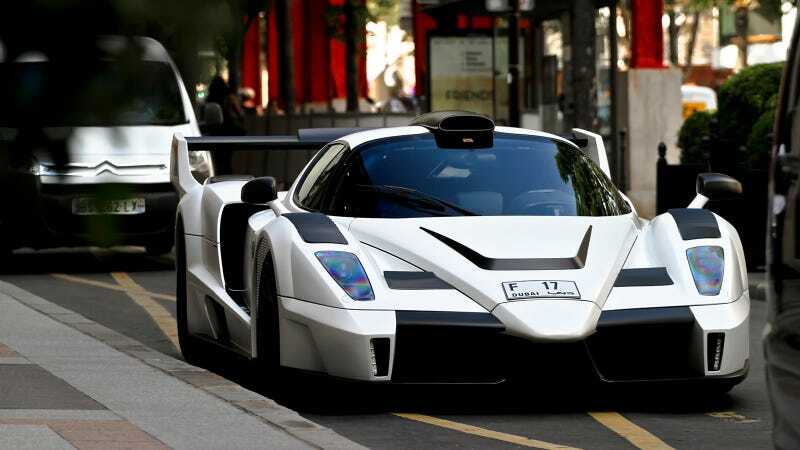 The Enzo is not one of those cars. This MIG-U1 by Gemballa is thankfully a one-off. Fast-Auto.fr caught it at Paris' Four Seasons a few weeks back, and hopefully it has been pushed into a volcano since then. What's the most tasteless tune car you've ever seen? Remember, we're not just talking about guys putting gnarly bodykits on their Accords, we mean professional tuning jobs from tuning car companies.